I’m sure you will read this elsewhere, but here I go anyways. 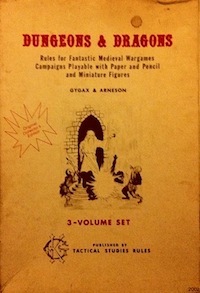 Wizards of the Coast has announced that the core AD&D books will be reprinted in early 2012. New covers, original interior art, limited edition (unfortunately). The price looks to be in line with other standard hardcovers, which is nice. They are supporting the Gygax Memorial Fund with some of the proceeds. This entry was posted in Spotlight on January 19, 2012 by Necropraxis.